I’m sitting here, sick as a dog, with no voice and no one to keep me company. The Hubby is at work and I just signed off from work because my head is hurting from this evil cold that I’m dealing with. Before I go to sleep, I wanted to tell you about my accidental henna purchase. Yes, it was accidental. While I’m not smiling too tough right now – even that is hurting – fondling my new purchases is making me very happy. Read on, readers! I will be quietly sleeping in the corner. Since my first experience with henna a couple of weeks ago, I’ve been searching high and low for a Canadian-based online henna vendor. I love shopping online – it makes life so much easier for me. When I came across Henna Sooq, I was excited. They are based in Brampton, Ontario which, in terms of shipping, is nothing for anyone in the Greater Toronto Area. The Yemeni henna powder comes from the Sana’a region. It takes 8-12 hours to achieve dye release for body art. For hair, we recommend you allow this henna powder to sit from 1-2 hours before applying it. It is well known for being one of the stringy hennas. This henna powder is now much better sifted (since the 2009 crop), since the company has upgraded its henna processing facilities. Now many more henna artists are using this henna powder. 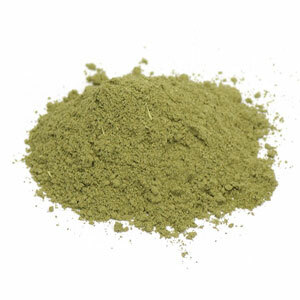 It is absolutely one of the most popular henna powders for hair dyeing, and covers grey very well. It gives the most gorgeous, deep red tones of any other henna powder currently. Jamila henna powder yields great stains results and comes conveniently packaged in 100 grams foil packages in sealed boxes (when it is stamped with summer crop for body art usage, and is also used for hair). It does have the longest dye release, taking up to 24 hours to prepare for body art, and 12 hours for use on hair, before ready to use. It is a reliable henna powder, but not great if you need henna quick. It has the ultimate best sift of ANY henna powder. It is very popular amongst professional henna artists, and for hair dyeing. It washes out of the hair very easily, and the texture of the paste is similar to melted chocolate. It yields deep reddish-brown tones for body art and for hair. This henna comes from Pakistan. Now, I’m the type of person who will wake up tomorrow morning and decide today is a great day for henna and want to whip it out and do it. Anything that needs 12 hours to achieve dye release means that I have to plan in advance and that doesn’t always work. I may try the Jamila henna next go round just because I’ve heard so much about it AND because it supposedly has the “ultimate best sift of ANY henna powder” according to Henna Sooq. In addition to the henna, I wanted some amla powder. I had had a bad experience with Dabur Amla Oil that I bought last summer. My scalp was not impressed, but I’m wondering if it was the oil – that was mostly mineral oil – not the amla that had my scalp in trouble. (Oh, I just read that it may contain peanut oil. Good grief. I’m deathly allergic to peanuts so maybe that was the problem. Sigh. I hate having allergies!) Anyhoo, the amla caught my attention. They also had shampoo bar samples! How exciting! These three made me want to wash my hair: Berhempsu (saponified hemp, shea butter, babassu, olive, castor, and jojoba oils, with grape seed extract, fig fruit extract, and bergamot essential oil), Moroccan Clay (rhassoul clay, aloe vera extract, olive oil, sunflower oil, avocado oil, golden jojoba oil, and lavender essential oils) and Sweet Honey (sunflower oil, castor oil, olive oil, organic cassia obovata, honey, apricot kernel oil, lemongrass essential oil, and our infused chamomile, and horsetail in olive oil). I went through the ordering process because I wanted to find out how much shipping was going to cost. I surfed away when I saw how much ($10 shipping with Expresspost) and never completed the order… or so I thought. When I went to my G.mail account, why did I see that my order was complete and how much I owed. I was like, “dang! What’s this about?” Instead of getting upset, I said, what the heck, I want the products, so I’ll just pay for them and call it a day although this was supposed to be a fact finding mission not a buying mission. Alas, I went to Pay.Pal and did the deed. When I went back to the Henna Sooq site, I saw that my order had been cancelled. I scratched my head and decided to call the Henna Sooq people to get this sorted out. Within five minutes, my order was completed and paid for by the very friendly ladies there. I love when I get great customer service! That will make me go back to them over and over for my henna purchasing. I ordered my products on Friday and they were delivered to my door this morning. Talk about quick shipping! They recommend keeping the henna and amla in the freezer and my sample shampoo bars are making my room smell extra sweet, which would be great if my head wasn’t pounding. Anyhow, it was a good experience with Henna Sooq and I’m looking forward to using my new products. I definitely won’t be using them until I get over this cold. I’m going to bed. Next Post What is AfroChic? Thanks for the amazing post. Really loved it. Makes my day, when someone else has been made happy by our products! Don’t they? I’m interested in making my own shampoo bars too — I have to do some research on how to make soap/shampoo bars. Until then, I’m happy to have found Henna Sooq and not all of their shampoo bars contain coconut oil. Bonus for me! I’ll definitely let you know how all my products work out. And I’m already feeling better — the naturopath hooked me up with some echinacea and elderberry tea and some horrible ear oil (but it works). Thanks!